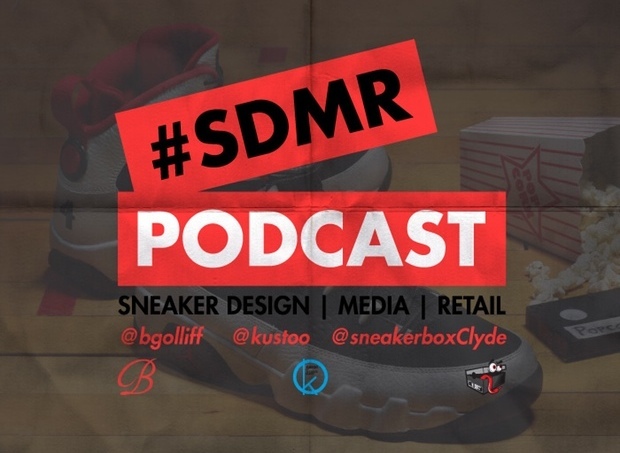 Check out episode 2 of the #SDMR Podcast! This show is a full hour of nothing but Jordan Brand topics. We bring you our Design, Media and Retail views on Dwayne Wade’s departure from the brand, Russell Westbrook’s welcoming to the brand, the impact of Chris Paul’s 6th signature shoe the CP3.VI and the beautiful marketing campaign around the Johnny Kilroy Air Jordan IX Pack. So get your popcorn and listen to it below and be sure give us your thoughts on Twitter @bgolliff, @kustoo and @sneakerboxClyde!